Samsung has announced the latest version of the Samsung Internet beta app, which brings new features and improvements that debuted on the Galaxy Note 9 to everyone with a device running Android 5.0 and higher. The Note 9 runs the stable version of Samsung Internet 8.0, but the company isn’t offering the stable version to other devices just yet. Despite the version bump from 7.x to 8.x, the newest Samsung Internet beta doesn’t have a long changelog. But it does make some important improvements and additions. First and foremost, the app can now download files faster by using multiple parallel connections. That’s similar to how download accelerator programs on Windows and other desktop operating systems work, and Samsung is claiming a speed improvement of up to 40 percent. 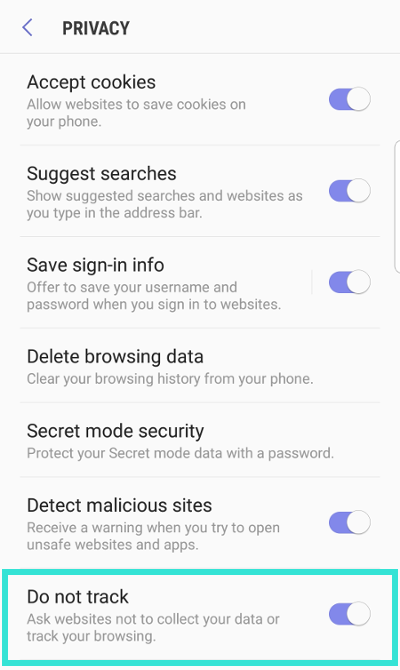 The other big feature targets those who like their privacy: The app now includes a Do not track option in privacy settings to avoid sites from tracking a user’s browsing habits. The new version of Samsung Internet also adds the ability to sync your favorite sites across devices using Smart Switch. Samsung has also upgraded the Chromium engine the browser is based on, bringing new features that web developers can take advantage of. The update has been available for a week or so at this point, but if you haven’t yet updated, you can download the new Samsung Internet beta (version 8.2.00.21) from the Google Play. We also have the APK file in our database for manual sideloading.